President of Nigeria Football Federation, Amaju Pinnick has revealed that the hiring and payment of the new foreign technical adviser of the Super Eagles, Genort Rohr was the initiation of the multinational company. He disclosed this during a Tuesday’s night live television programme on Nigeria Television Authority (NTA), that also had the Sports Minister, Bar. Solomon Dalung and former Nigeria’s U-23 coach, Samson Siasia in attendance and was monitored by Soccernet.com.ng. He said that the decision on the appointment of a foreign coach was not taking by the Glass House but something that was practically donated to them. “Why we decided to go for a foreign coach was because some companies were so excited to sponsor the wages of the foreign coach. What we needed at this time is that we want other coaches to focus on what they are doing. 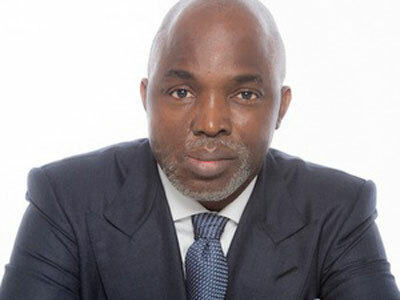 The NFF are not the ones that will be paying the foreign coach as I have said earlier on; the coach is been donated to us practically,” Pinnick said. “This is the same structure we want to use for every local coach because we want sponsors to take up certain responsibilities of sponsoring our coaches. If you remember, we got Zenith bank to sponsor Sunday Oliseh when he was the coach of the Super Eagles and his salary was paid on quarterly basis. In my car I have a letter on a company that wants to sponsor the Super Falcons coach. If we are doing that the burden of paying the salaries of other coaches will reduce.” he said. Besides, Pinnick also pleaded to the various coaches of the national teams for their slow response in paying them their salaries with emphasis on Siasia, which he accounted to the single account been operated by the Federal government. He pointed out that the NFF are not really happy with the current situation of things and that they are working ceaselessly to ensure that all salaries are paid when due. “We are not happy that we owe some of our coaches. The reason is due to the new single account format by Mr President. We are sorry for owing them because it’s not in our usual fashion and we feel sad that this is happening. Again, the single account system been operated by the Federal government has been the cause of the delay and we are assuring them they will be paid once we get the money from them.